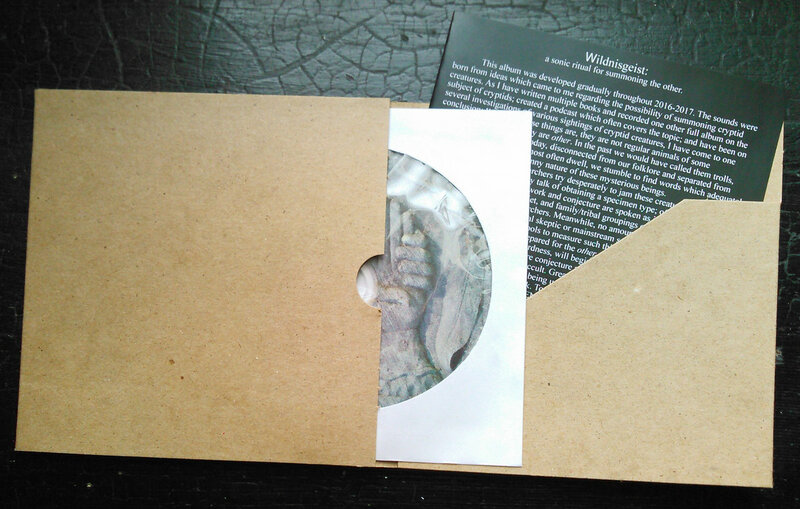 CD edition in cardstock cover with insert. Includes unlimited streaming of Wildnisgeist via the free Bandcamp app, plus high-quality download in MP3, FLAC and more. 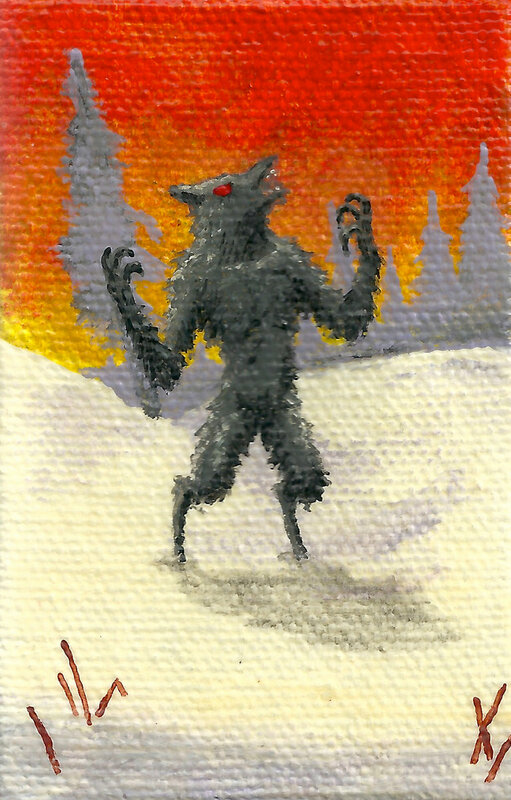 Timothy did six original miniature paintings of cryptid creatures to go with this album. 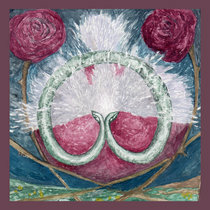 Paintings are 2x3" on mini canvases. 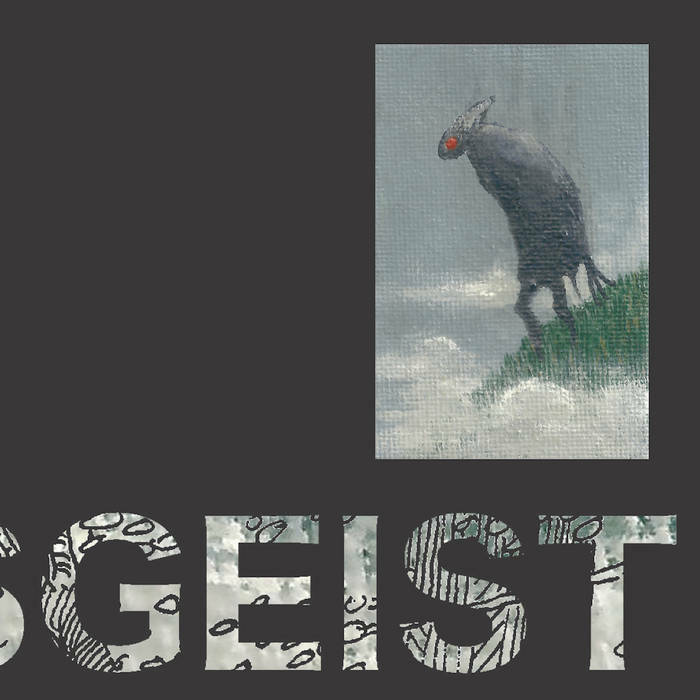 This includes the goatman painting plus the limited edition CD version of WILDNISGEIST. 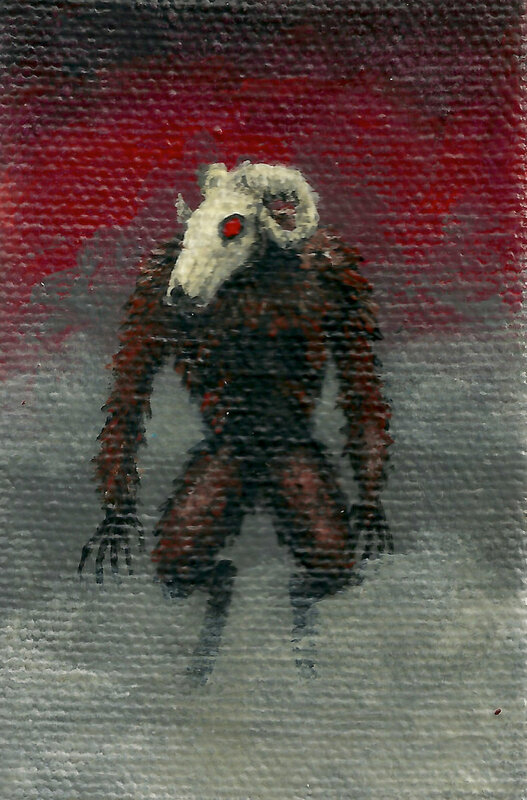 Timothy did six original miniature paintings of cryptid creatures to go with this album. Paintings are 2x3" on mini canvases. 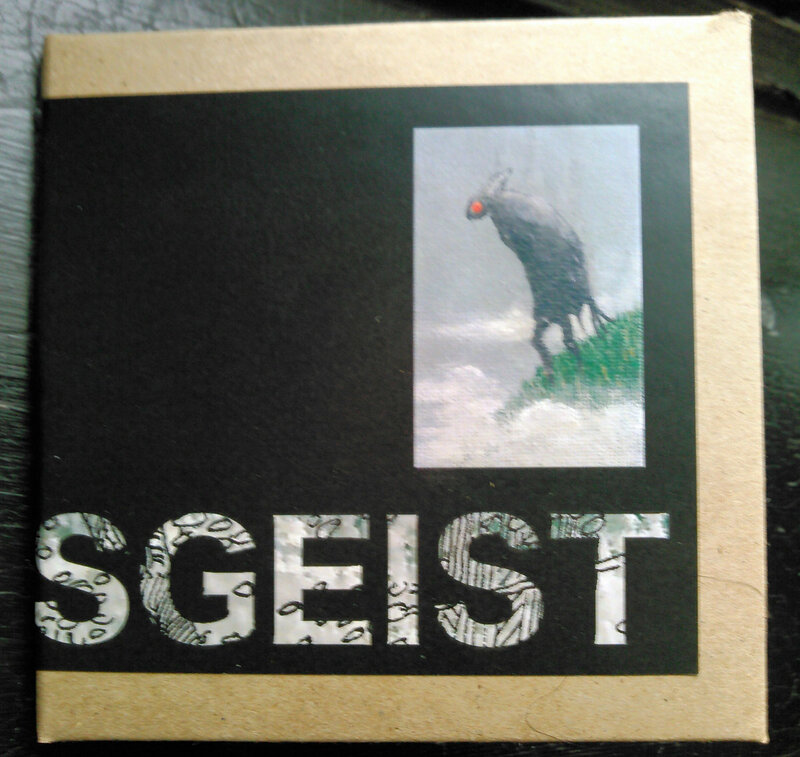 This includes the werewolf / dogman painting plus the limited edition CD version of WILDNISGEIST. Wildnisgeist is an album of experimental drone music crafted as a ritual for summoning the OTHER. 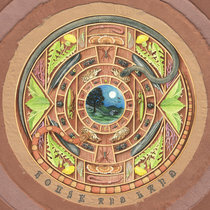 The album was assembled using field recordings sourced from various creeks in MD and PA as well as recordings made at various haunted locations and during cryptid investigations. Natural sounds as well as unknown voices, howls, and other unidentified sounds were processed, mutated, and mixed with harmonium, srutibox, and tamboura to open a sonic gate to the unexplained. creeks recorded: Bee Tree Run and an unnamed tributary of Gunpowder Falls (Baltimore County, MD); Codorus Creek (east branch, south branch, main branch, various unnamed tributaries), Furnace Creek, Hollow Creek, Michael Run, Mill Creek, Muddy Creek, Otter Creek, and Trout Run (York County, PA). field recording sites: Chickies Rock (Lancaster County, PA); Codorus Furnace, Hex Hollow, Panther Hill, Toad Road, Site 7 (York County, PA). harmonium, srutibox, tamboura-lyre, field recordings, assemblage and ætheric engineering by Timothy. If you notice any strange activity after playing this recording, I would very much like to hear of your experiences. Strange Familiars podcast is at www.StrangeFamiliars.com or wherever you listen to podcasts.